For some time now (even before starting So Lonely in Gorgeous), I've been on a personal "no foundation, concealer and face powder" buy. I was very proud of myself for never deviating once (my willpower for beauty products is nil...btw, gifts don't count :P). That is, until Hourglass released their Ambient Lighting Palette. I've been wanting (and by wanting, I mean dying) to try the Ambient Lighting Powders ever since they came out. So, I was excited (and by excited, I mean besides myself) to get my hands on this palette, which was part of a mega ever-going beauty swap with Justine. Also, to further justify this purchase, the Ambient Lighting Palette is a great introduction into the Ambient Powders, especially since the travel-sized trio offers an exclusive shade. I'm sure you've read from here to Timbuktu about this palette, so, I'll skip the monotonous product description and, just say, these powders are fantastic! 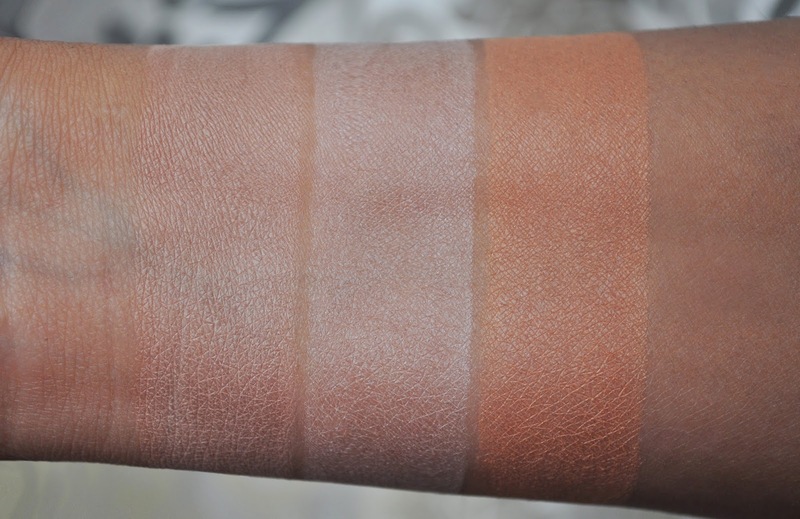 I will be purchasing the remaining four shades. In experimenting with the powders, I found certain products worked better than others. For example, FACE atelier's Ultra Foundation just soaked up the powder, doing nothing to radiate the complexion, it worked beautifully over Nars's Sheer Glow Foundation, and my absolute favorite pairing of all, over Dior's Hydraction Skin Tint (half-way through my last backup...sad). From left to right: Dim Light, Incandescent Light, Radiant Light. These ambient powders can be used every which way; as a highlighter, face powder, eye shadow, and depending on your coloring, the darker shades can be used as a bronzer, the possibilities are endless! My favorite way to use the Ambient Lighting Palette is to swipe a large fluffy brush up and down all three shades a few times, tap, tap, taparoo off the excess, and starting at the center, dust the powder all over my face. The end effect is a subtle, yet spellbinding Hitchcockian, soft-focused, leading-lady luminous glow. 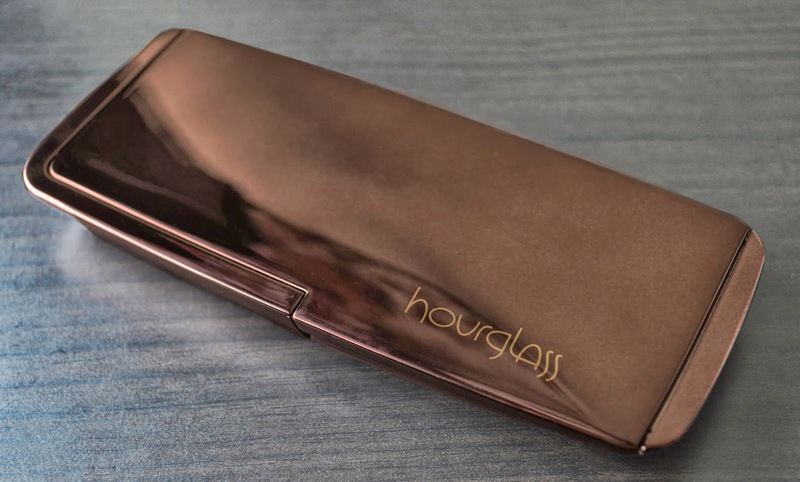 Have you tried Hourglass's Ambient Lighting Powders? I so desperately want to try one of these, but I'm on a highlighter/face powder no buy! W]How long do you have on this no buy? I'm so happy they ended up working out for you! :) Most days, I just use a primer, concealer, and this to "set" everything and my skin looks so great. Mood Light is my favorite. I think I'm only missing Diffused Light, but I feel like I've reached my Hourglass ALP quota for now. Thank you Carina :) I've used this powder in the same way and love it! Sephora now ships to Japan, so, I see more Hourglass powders in my future. OMG!!! This palette is super pretty. I love the packaging for it looks classy. I love the colors for they are light and natural on skin. This will be in my purchase list. I've fallen in love with these powders, and they're definitely worth investing in!